This is a first step to a personal project.. going to illustrate some of my poems. 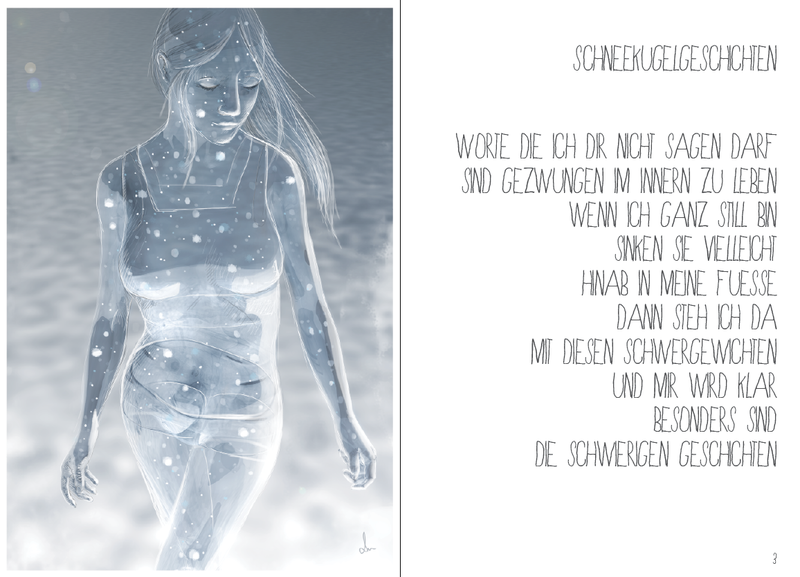 (mostly written in german) The final product will be a short book, leporello perhaps. This one is about the words that one is not allowed to tell to the other (for special reasons) and that they are forced to live inside (of your body). So possibly, if you behave very quietly, then they eventually begin to sink into your feet. As in a snow globe. And you'll begin to realise that these difficult stories are the precious ones.